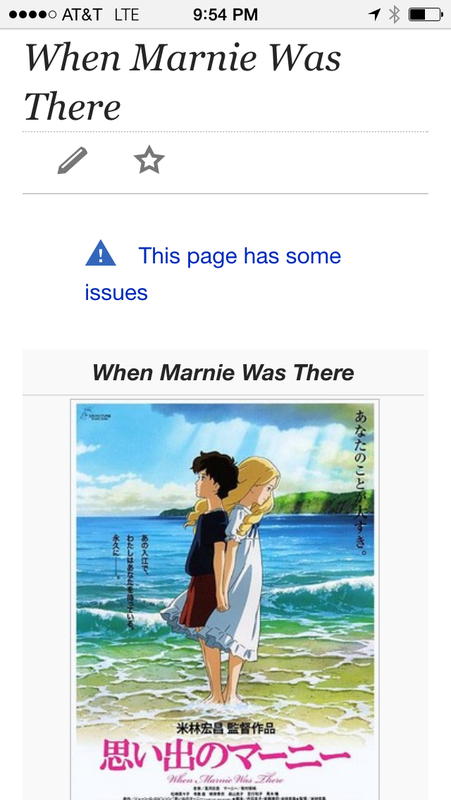 I HAD SUCH HOPE FOR YOU, MARNIE. To be clear: I have not read the book, and I assume the movie is faithful to the original plot points. Review contains so many gifs and some spoilers–the plot twist is embedded in a link, but there are a lot of pictures. Miyazaki protégé Yonebayashi adds Studio Ghibli magic to Joan G. Robinson’s classic ghost story of a shy teenage tomboy who befriends a young blonde girl who may not be of this world. Subtitled, Ages 8+.